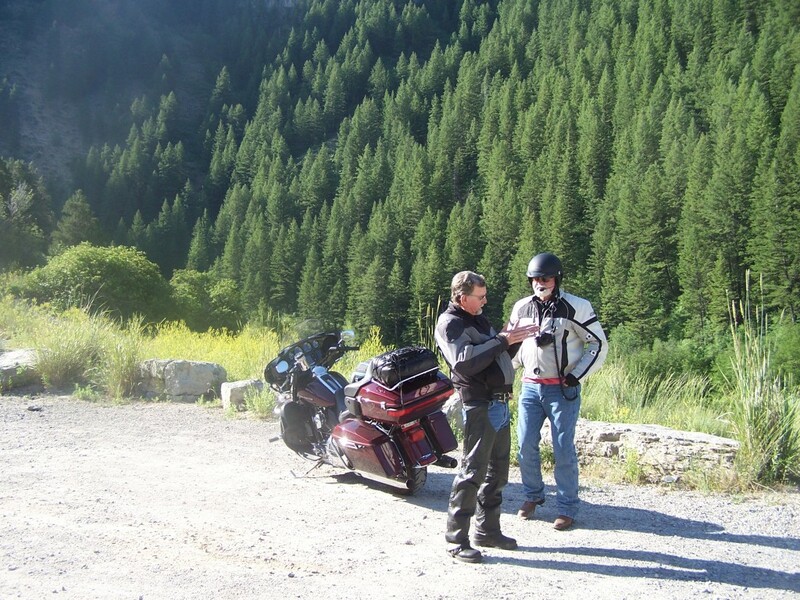 Today is day 9 of my 5000+ mile, 17 day motorcycle ride… Larry T., Larry A. and myself are together for the past 8 days seeing some of the most scenic parts of the western US. On day 5 we turned onto US-89 just north of Prescott, AZ. 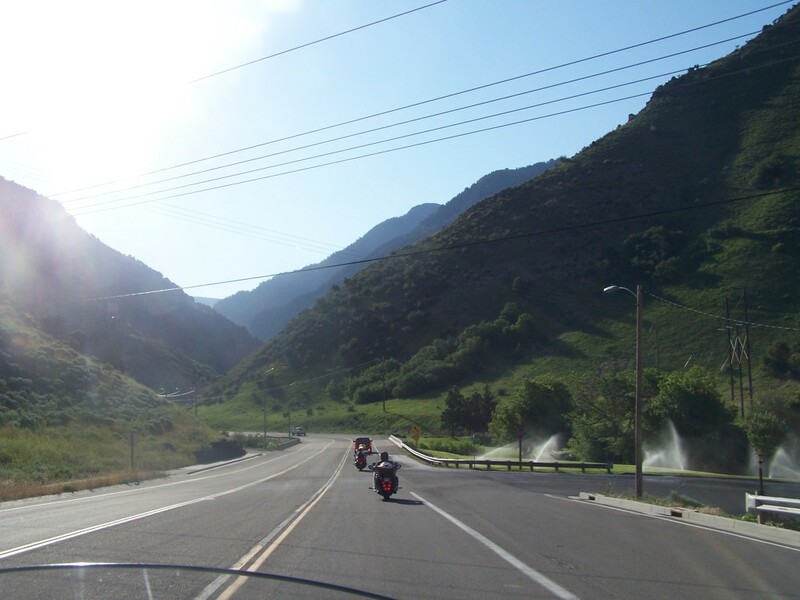 Today we continue riding up US-89 leaving Utah behind, catching the southwest corner of Idaho as we ride to Jackson, WY. This part of the ride is more virgin territory for me. Today is another beautiful riding day, cool with beautiful blue skies and few clouds. 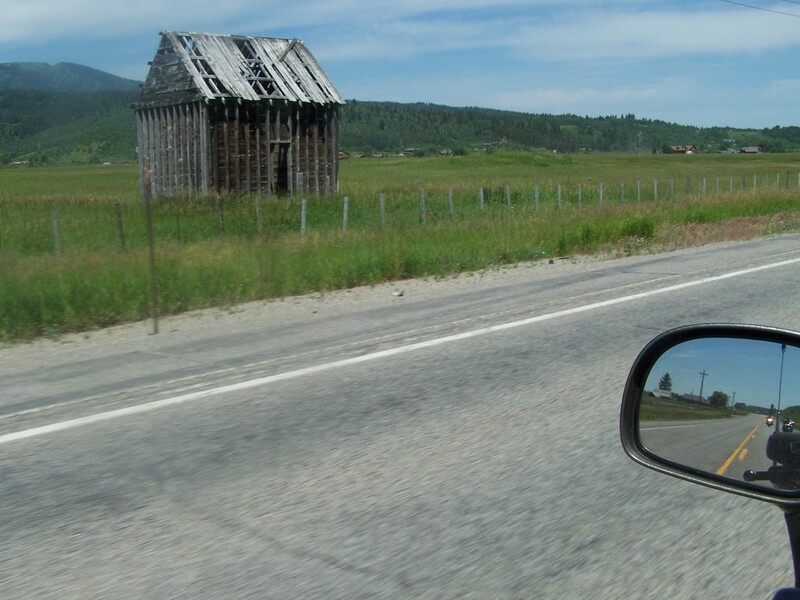 The ride up US-89 north is a scenic ride through more picturesque Mormon farm and ranch country. 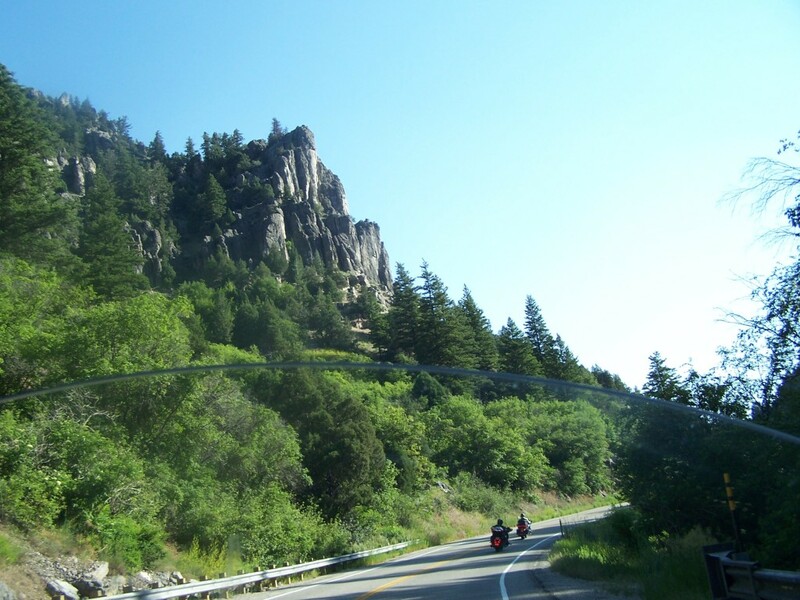 The further north we rode the more mountainous the scenery became. 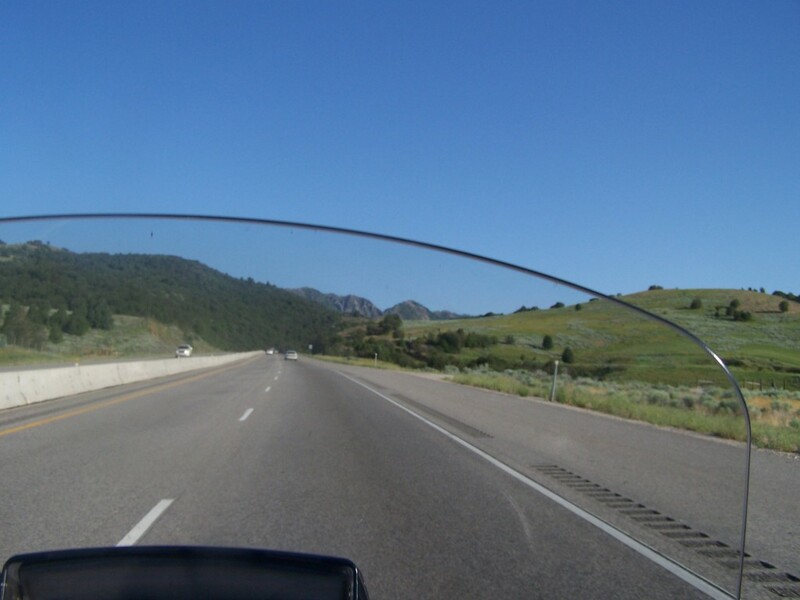 Riding out of Ogden we headed north up I-15 20 miles to US 91. From I-15 we did get a brief view of the Great Salt Lake. A short ride down US 91 we picked up and continued our ride north on US-89.This section of US-89 is scenic rolling hills. The road is wide and is an easy ride, with mountains in front of us. 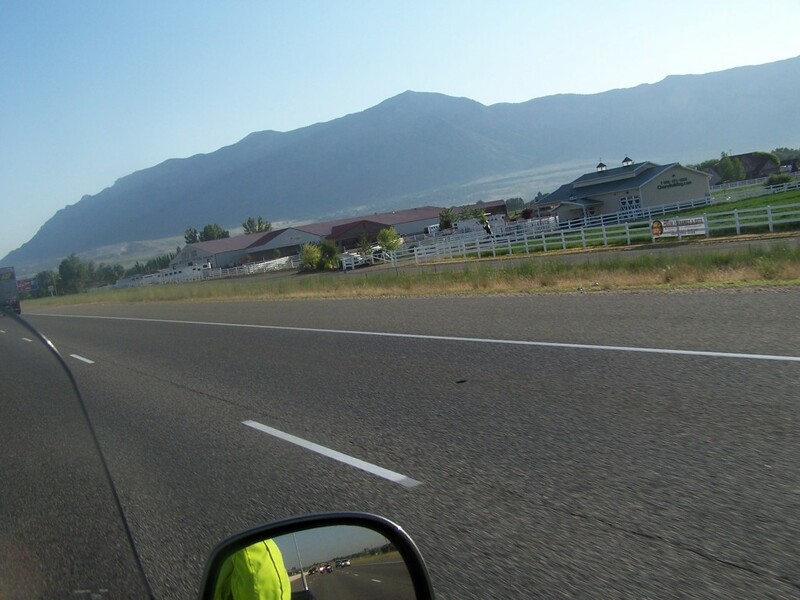 We rode into Logan; Logan has an old-fashioned downtown and a beautiful old Mormon church. 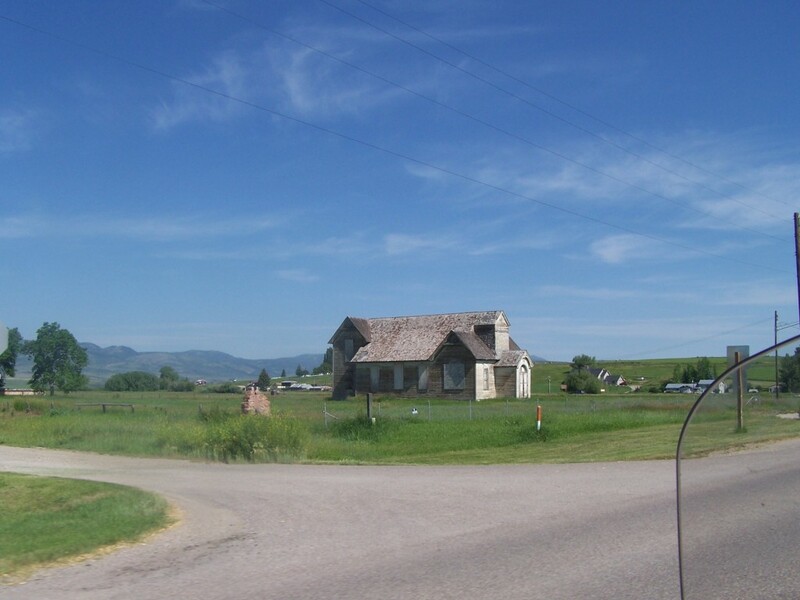 Instead of a courthouse or town square, Mormon churches are a common sight in this part of the country. 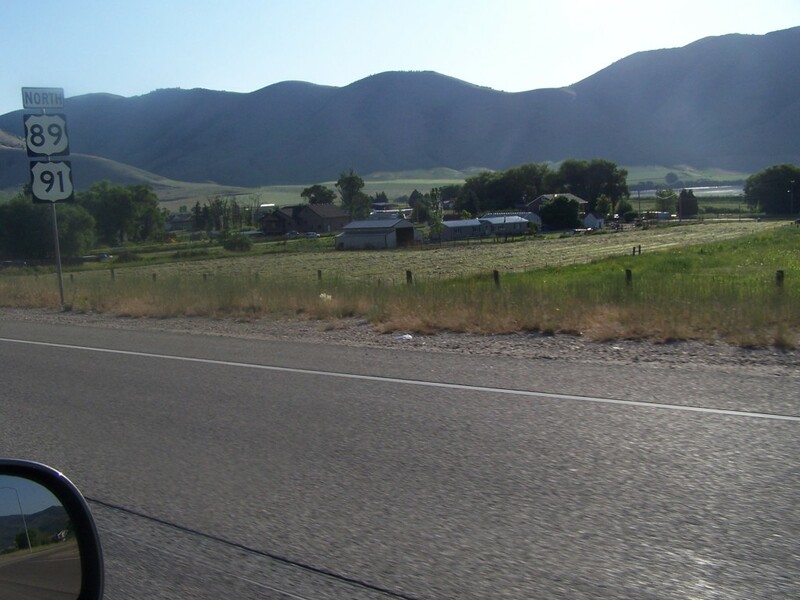 Leaving Logan, we are riding in the mountains with a lot of nice curves and scenery. I love running rivers. Logan River parallels US-89 for most of our ride through the mountains. At a pullout we stopped to stretch our legs and take a few pictures. At Brush Canyon, Logan River turns north where Brush Creek flows into it. 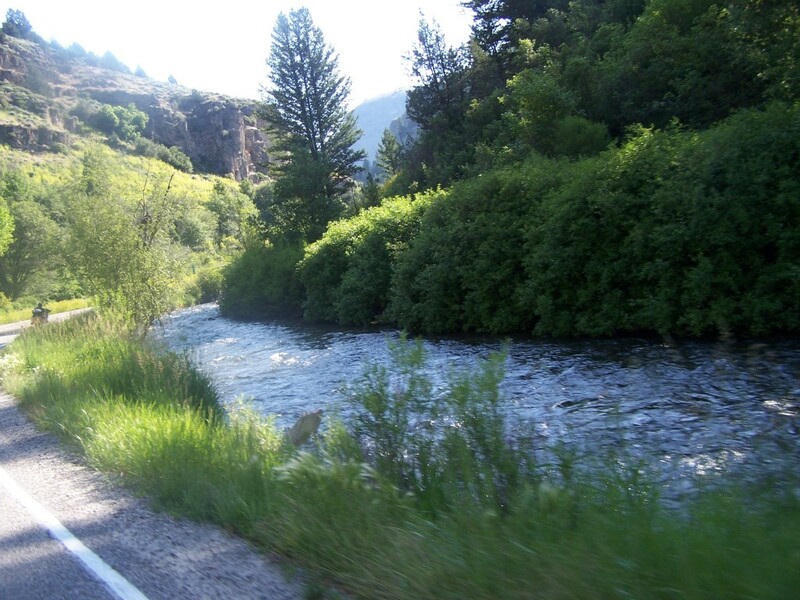 Brush Creek then parallels US-89 to SH-243. 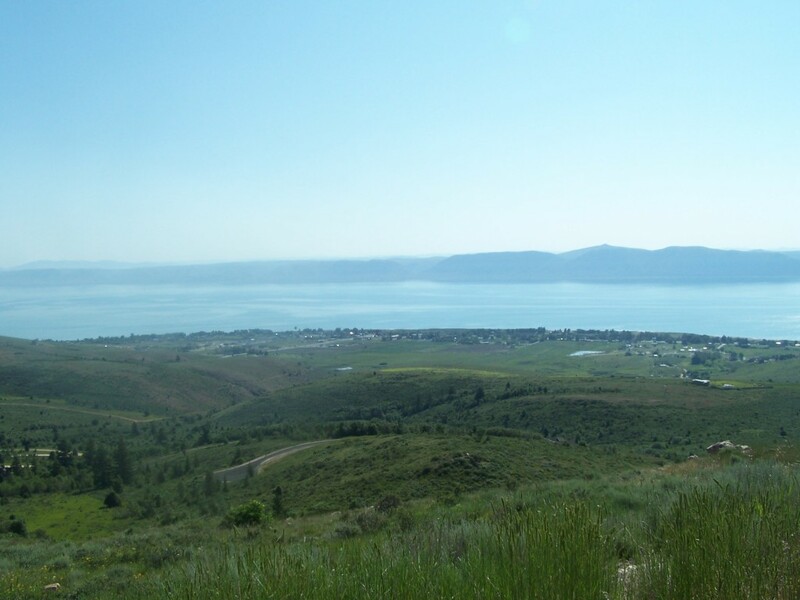 At Logan Canyon Summit, there is a panoramic view of Bear Lake, a beautiful natural freshwater lake, on the Utah-Idaho border. 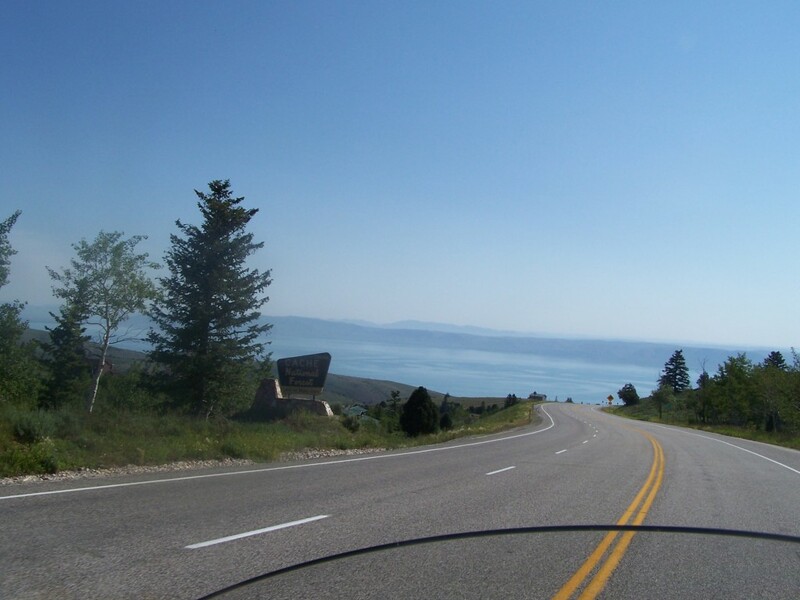 A few miles from Garden City we pulled over to take pictures of the panoramic views of Bear Lake and Garden City below. 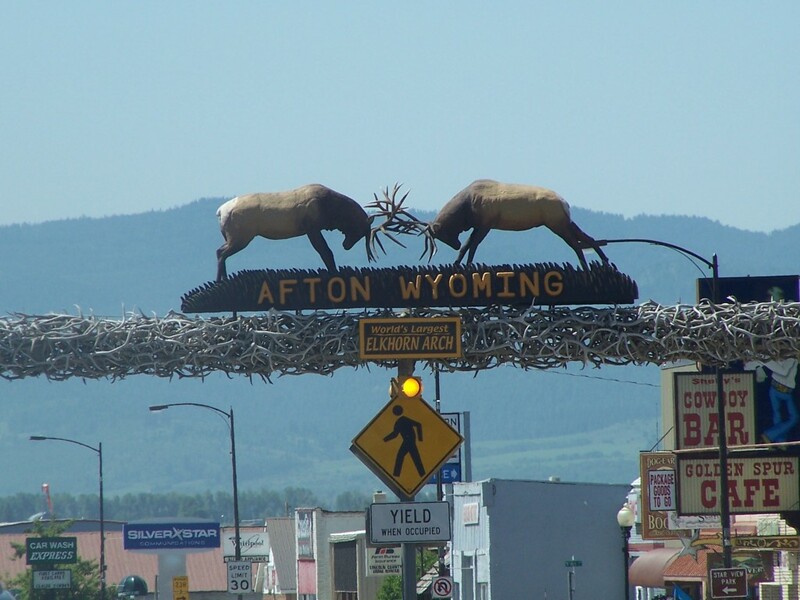 Riding into Afton, WY we are welcomed by “The World’s Largest Elk Horn Arch”. The arch spans 75-feet across US-89 at a height of 18-feet and has over 3,000 elk antlers and weighs more than 15-tons. We stopped for gas, stretched our legs a bit and took pictures of another picturesque small town founded by Mormons. 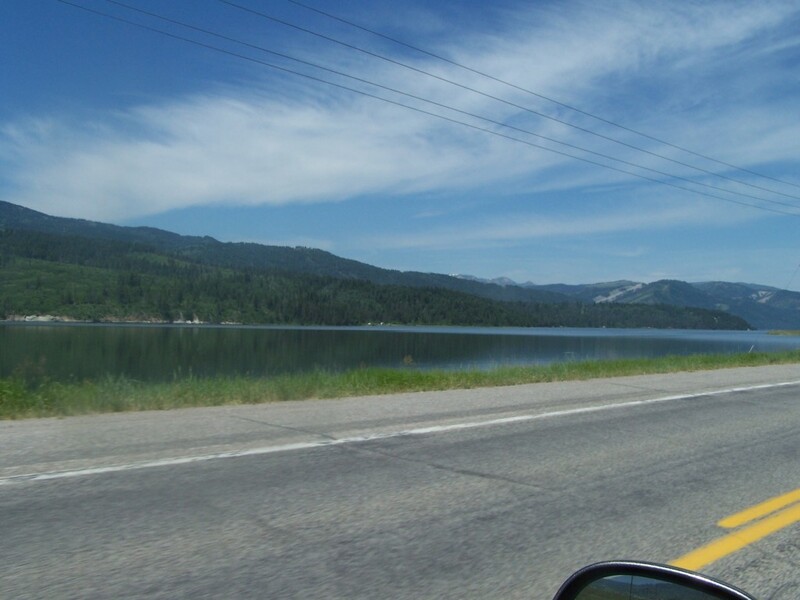 Continuing north, US-89 parallels the Idaho-Wyoming border as it meanders through the valley to Alpine, WY. 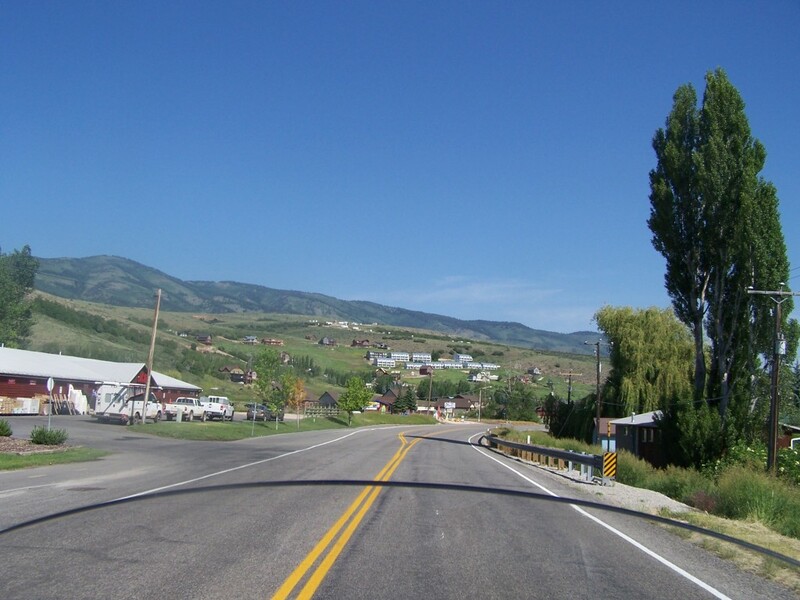 More scenic small towns, farms and ranches are all along our route. 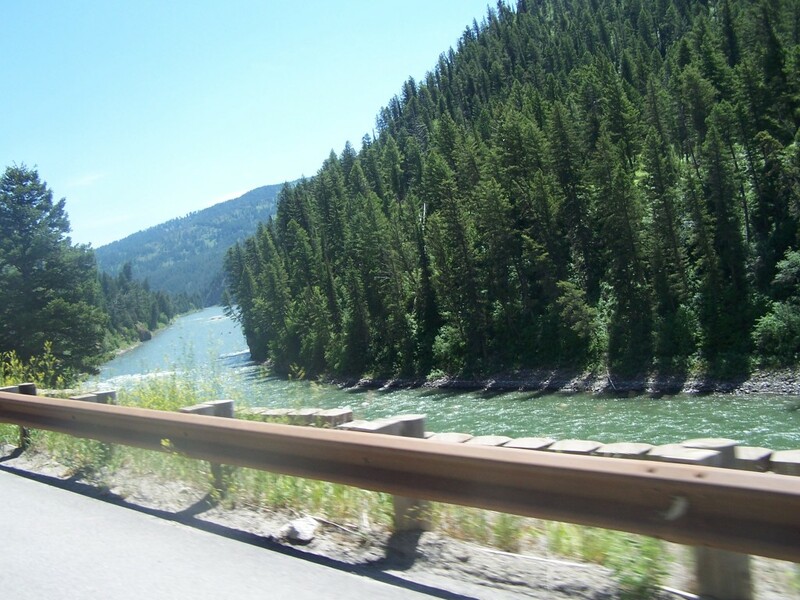 At Alpine we cross the Snake River (of Evil Knievel fame) and head northeast on US-89. 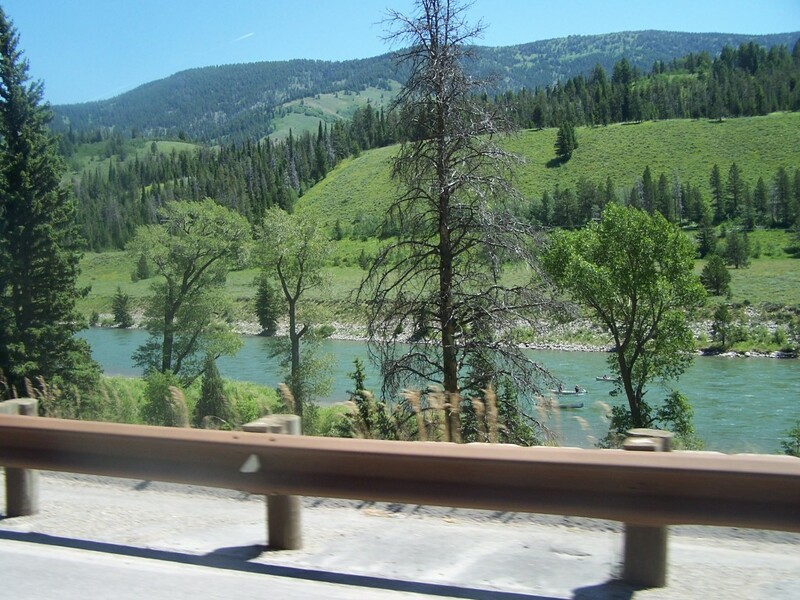 US-89 parallels the Snake River as it winds through the majestic Teton Mountain Range to just south of South Park, WY. There are nice views of the Snake River’s emerald green water rushing over the rugged terrain and occasionally rafters enjoying their trip down the river. Today has been the coolest day (low 80’s) riding so far. It is a welcome break from the triple digits days that we have ridden in. 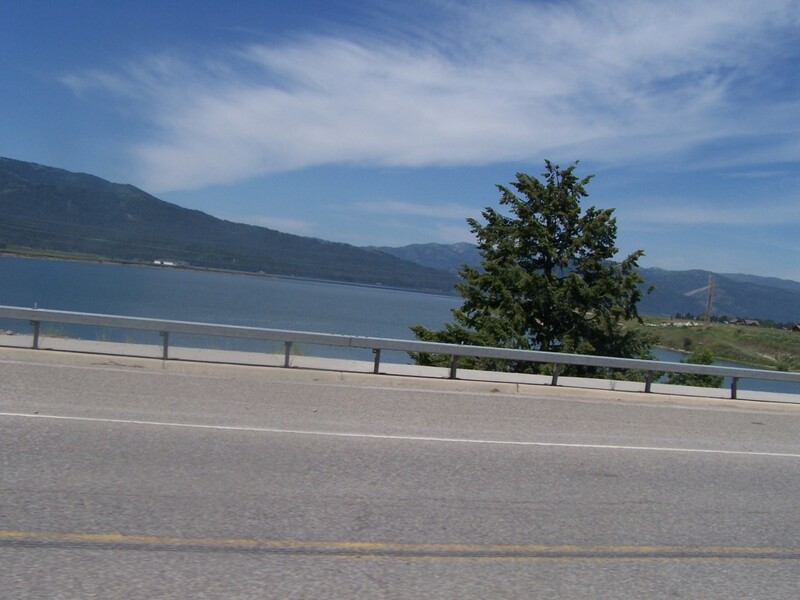 This entry was posted in Motorcycle Touring Logs and tagged Afton, Bear Lake, Jackson, Logan, long distance motorcycle touring, long distance motorcycle travel, Mormon Temple, motorcycle ride, motorcycle riding, motorcycle road trips, Motorcycle Touring, Motorcycle Touring Logs, motorcycle travel, motorcycle trip, Snake River. Bookmark the permalink. What beautiful country that is . Nice pictures! How we miss being out west! Thank you for taking us along on your trip. Too funny about the Larrys…do you call each other by your last names? 🙂 And, I was just looking at Logan on the map the other day… we live in Garden City, Michigan! I’ve done this ride many times. Some pretty country to be sure. 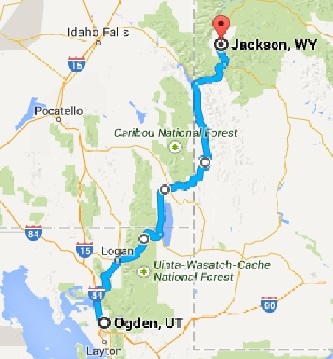 Make sure nd hit The Chief Joseph Highway and Bear Tooth Pass if you haven’t already. Chief Joseph is one of my favorite roads. Beautify sweepers that are just made for a touring bike. Chief Joseph is the approach from Cody to Beartooth Pass. It’s a great ride and one of my all-time favorite roads.